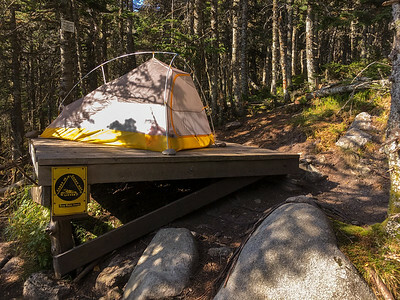 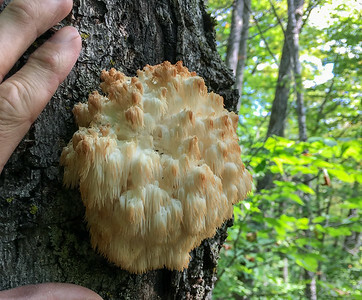 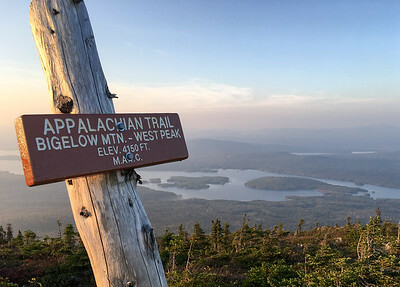 A wonderful two-day overnight hike along A.T. in the Bigelow Mountain range in Maine, including sunset on West Bigelow peak and sunrise on Avery Peak. 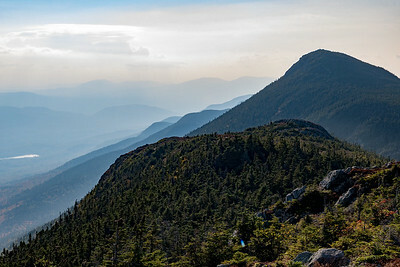 I attempted some HDR photos by bracketing exposure and processing HDR in Lightroom - honestly, they don't come close to the deep colors of the real sunrise/sunset. 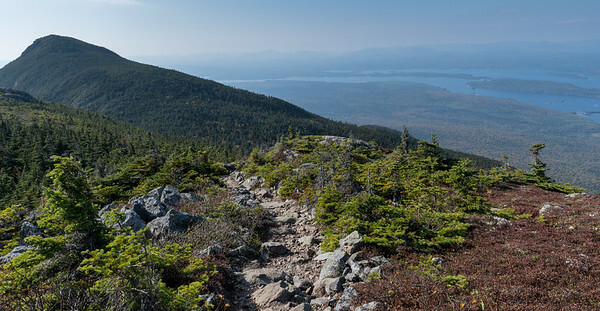 Approaching Avery Peak, Bigelow Mountain, Maine. 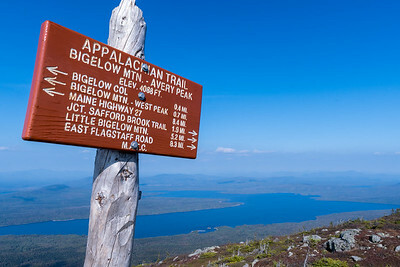 Summit of Avery Peak, Bigelow Mountain, Maine. 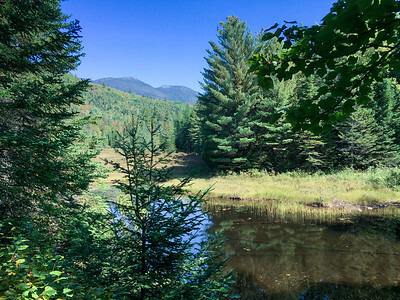 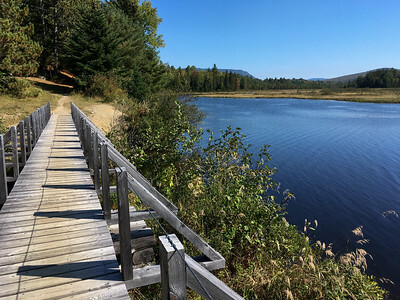 Panorama from west to north to east, Bigelow Mountain, Maine. 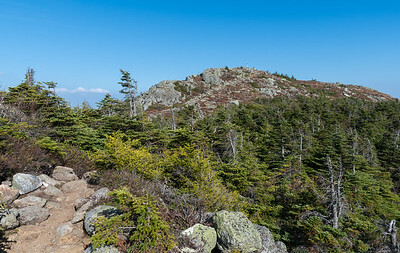 Hazy view of West Peak from Avery Peak, Bigelow Mountain, Maine. 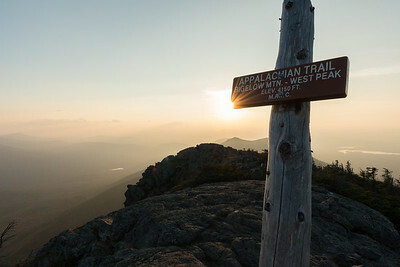 Nearing sunset on the summit of West Peak, Bigelow Mountain, Maine. 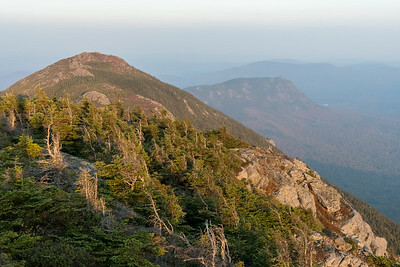 Late afternoon sun on Avery Peak and Little Bigelow Mountain, from West Peak, Bigelow Mountain, Maine. 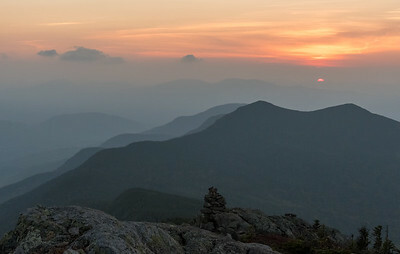 Sunset from West Bigelow Peak, Bigelow Mountain, Maine. 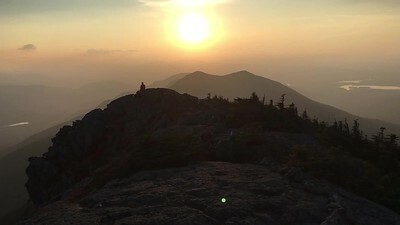 Timelapse movie of the sunset from the summit of West Bigelow Peak, Bigelow Mountain, Maine. 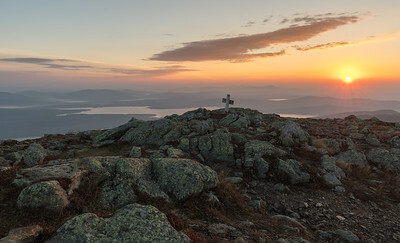 Sunrise from Avery Peak, Bigelow Mountain, Maine.